Ashampoo WinOptimizer 2016 ist eine leistungsfähige Software zur System-Optimierung. 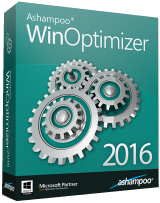 Ashampoo WinOptimizer 2016 war am 20. Januar 2016! als Giveaway verfügbar! Ashampoo WinOptimizer 2016 ist eine leistungsfähige Software zur System-Optimierung. Das Programm schafft Platz auf der Festplatte, beseitigt Fehler und sorgt für konstante Performance. Zudem wird die Privatsphäre geschützt und Windows individuell angepasst. Neben der Bereinigung der Festplatte durch drei Cleaner-Module gibt es zahlreiche Tools, die u.a. die Bereiche Systemwartung, Tweaking, Analyse, Systembeschleunigung und Verarbeitung (Verschlüsseln, Splitten, etc.) von Dateien umfassen. Neu in Version 2016 sind der Font Manager, die Kompatibilität mit Windows 10 und die Unterstützung von Mehrbenutzer-Systemen. Ashampoo WinOptimizer 12 ist eine leistungsfähige Software zur System-Optimierung. Sie schafft Platz auf der Festplatte, beseitigt Fehler und sorgt für konstante Performance. Zudem wird die Privatsphäre geschützt und Windows individuell angepasst. Upgrade-Preis für Giveaway-Benutzer, die bereits Ashampoo WinOptimizer 2016 besitzen: $14.99 statt $49.99! Ich will ja nicht meckern, aber sooo ein super Schnäpper ist dieses Angebot nicht - diese Software ist jeden Tag auf der Herstellerseite kostenlos erhältlich. OHNE THEMIDA !! OHNE SOCIAL NETWORK SHARING !! I did learn a long time ago that one way of speeding up your computer is to get rid of all of the optimisation programs on your system. Ccleaner is the only one most of you will ever need. 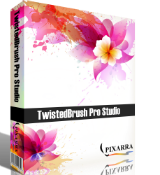 Ashampoo Burning Studio 2016 needs a folder with complete DVD structure (VOB files etc.) which you have to get elsewhere. Nevertheless I'm gladly using the restricted versions from 2012 (perhaps 2011) on for everyday use. For Ashampoo WinOptimizer 2016 I can't tell the restrictions as I'm mostly using Linux nowadays parallel to some costly Win XP software and even some GOTD programs. As liking or email to get newer ones isn't for me, I can't be of further help today. Towards the usual fuss about unwanted emails: Simply unsubscribe or use a separate email for any giveaway registrations (one way emails don't work with every enterprise!). And buy one good product sometimes as nobody can work and earn their living without earning money! And it's an European (Germany) enterprice. Therefore you shouldn't run any risk! Greetings from an old time author having formerly written lots of comments and who dislikes greatly to activate java script for simply posting his comment. @tommo 12 = full version, 2016 = somewhat restricted version, e.g. Ashampoo Burning Studio 12 can burn Video DVDs for standalone video players, Ashampoo Burning Studio 2016 needs a folder with complete DVD structure (VOB files etc.) which you have to get elsewhere. Nevertheless I'm gladly using the restricted versions from 2012 (perhaps 2011) on for everyday use. For Ashampoo WinOptimizer 2016 I can't tell the restrictions as I'm mostly using Linux nowadays parallel to some costly Win XP software and even some GOTD programs. As liking or email to get newer ones isn't for me, I can't be of further help today. Towards the usual fuss about unwanted emails: Simply unsubscribe or use a separate email for any giveaway registrations (one way emails don't work with every enterprise!). And buy one good product sometimes as nobody can work and earn their living without earning money! And it's an European (Germany) enterprice. Therefore you shouldn't run any risk! Greetings from an old time author having formerly written lots of comments and who dislikes greatly to activate java script for simply posting his comment. Have a nice day! Installed and registered without any difficulties, opens up to a simple and readable interface. Did a scan of my system and allowed it to clean up; to check it hadn't done any damage rebooted and things worked normally. Pretty typical of this type of program plus a few extras, system statistics, file manipulation which includes split, join, encrypt and decrypt. In fact lots of interesting goodies in the main menu. An interesting program with lots of little goodies, in fact a bit of a computer toolbox, so I'll be keeping it. As Ashampoo have become much less aggressive in promoting their products so am now happy to download their software. Installed and registered without any difficulties, opens up to a simple and readable interface. Did a scan of my system and allowed it to clean up; to check it hadn't done any damage rebooted and things worked normally. Pretty typical of this type of program plus a few extras, system statistics, file manipulation which includes split, join, encrypt and decrypt. In fact lots of interesting goodies in the main menu. An interesting program with lots of little goodies, in fact a bit of a computer toolbox, so I'll be keeping it. As Ashampoo have become much less aggressive in promoting their products so am now happy to download their software. XP-Man I find Ashampoo programs top notch, and I have purchased many over the past year, WinOptimizer being one of them. I always feel that the value received is well worth the purchase price. But to suggest that they have become less aggressive in promoting their products is (IMHO) incorrect. I still receive about 5 e mails per day in my burner in box for stuff I've already purchased. And the programs I have purchased hawk other software titles (which I've also purchased) during start up and you have to click "no thanks" to continue. One would think a purchased program would be free of such nonsense. <b>XP-Man</b> I find Ashampoo programs top notch, and I have purchased many over the past year, WinOptimizer being one of them. I always feel that the value received is well worth the purchase price. But to suggest that they have become less aggressive in promoting their products is (IMHO) incorrect. I still receive about 5 e mails per day in my burner in box for stuff I've already purchased. And the programs I have purchased hawk other software titles (which I've also purchased) during start up and you have to click "no thanks" to continue. One would think a purchased program would be free of such nonsense. Getting licence key doesn't work, keeps asking for a password after entering email. Scrapped installation. It asks for your account password. If you don't yet have an account, you may want to create one on their site; then installation will go smoothly because it WILL give you the License key. <b>Chris</b> It asks for your account password. If you don't yet have an account, you may want to create one on their site; then installation will go smoothly because it WILL give you the License key.